Interview a classmate and answer the questions about him / her. 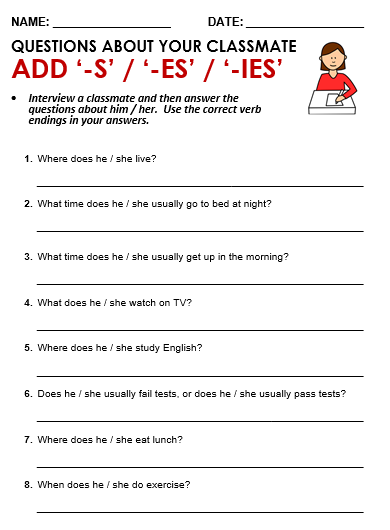 Use the correct verb endings in your answers. 2. What time do you usually go to bed at night? 3. What time do you usually get up in the morning? 4. What do you watch on TV? 5. Where do you study English? 7. Where do you eat lunch? 8. When do you do exercise? 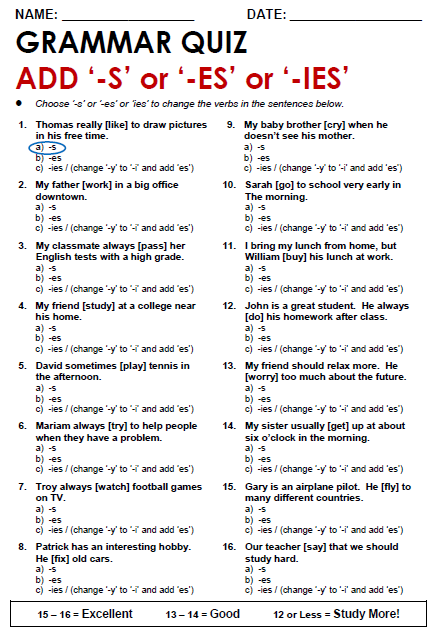 16 stem sentences - Learners listen to their teacher read aloud the present simple verbs and complete the sentences using the correct third person singular forms. 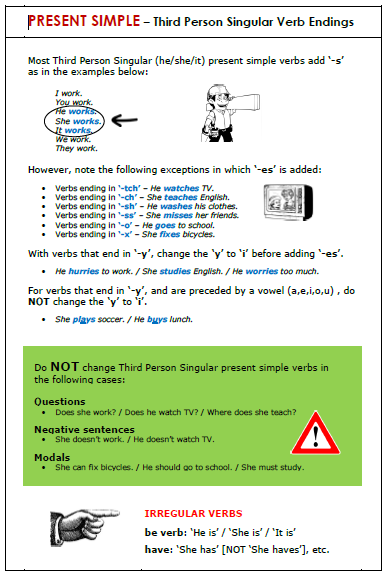 The first sentences is done as an example; with Answer Key attached. Consider playing the audio below as a way to let your students check their answers. 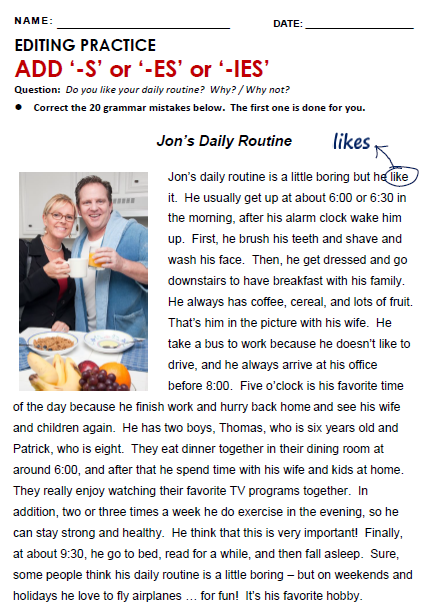 Follow-up this activity by having your students write a short paragraph about the daily routine of someone in their family. 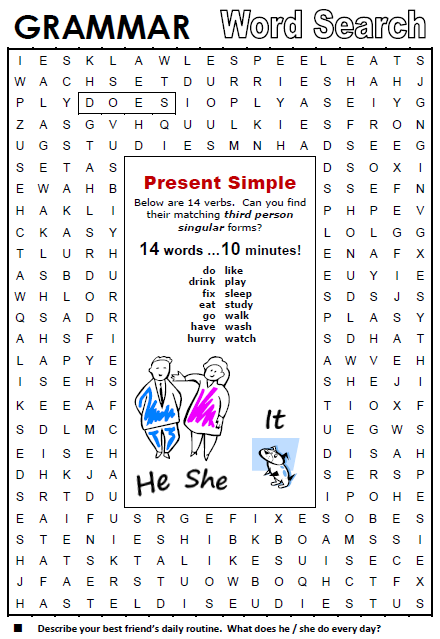 Grammar Word Searches work well as a simple warm-up at the beginning of a lesson. 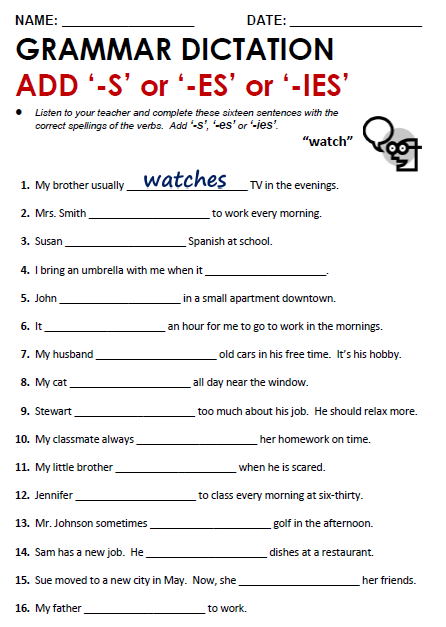 A great idea is to follow-up this activity by using some (or all) of the words in a board game, or a writing activity. 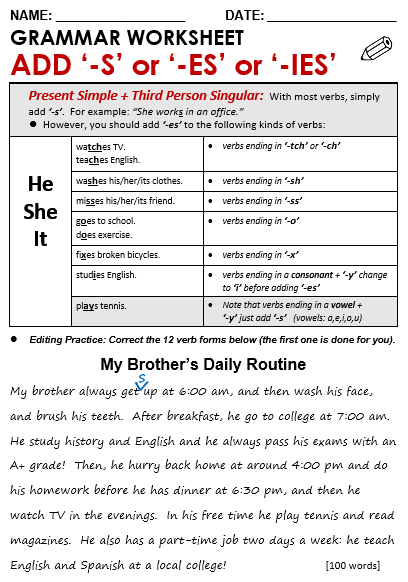 For example: "Use all of the present simple words in the Word Search to write a short paragraph about what someone in your family does every day)."